The study of solar magnetic fields includes such issues as how large-scale magnetic fields are generated in the Sun and how magnetic structures are spontaneously formed and then interact with convective flows. These are just a sample of the fundamental questions answered in this timely review of our understanding of solar magnetic fields. This volume collects together articles and research papers ranging from such topics as large-scale patterns and global dynamo action to tiny flux tubes, from the overshoot layer below the convection zone up to the corona, and from instrumental problems and theoretical methods to the latest ground-based and satellite observations. This volume provides an essential review of our knowledge to date for graduate students and researchers. How are large-scale magnetic fields generated in the Sun in self-excited dynamo processes? And how are magnetic structures spontaneously formed in the Sun and how do they interact with the convective flows, storage and release of magnetic energy? These are just several of the fundamental questions answered in this timely review of our understanding of solar magnetic fields. 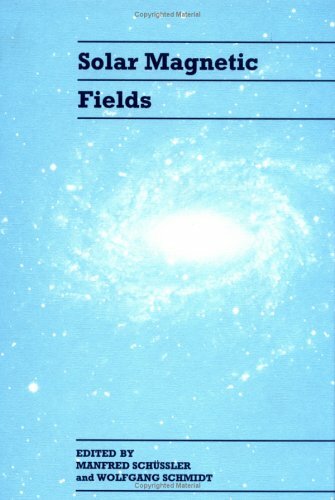 This volume collects together review articles and research papers from an international conference, held in Freiburg, Germany, dedicated to the study of magnetic fields in the Sun. From large-scale patterns and global dynamo action to tiny flux tubes, from the overshoot layer below the convection zone up to the corona, and from instrumental problems and theoretical methods to the latest ground-based and satellite observations, this volume provides an essential review of our knowledge to date for graduate students and researchers.